Golden Metal Pendulums are available in wide range only at Natural Agate. This pendulum is enhancing you sixth sense and mental ability. Also this pendulum is balance the chakra of body. 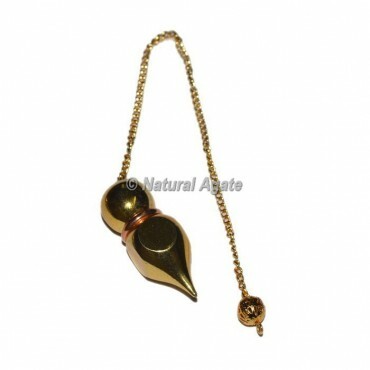 In Spiritual way brass pendulum brings an inner truth. Place the order today.